This Sunday we’re getting ready for one of the most special Monuments: Paris-Roubaix. 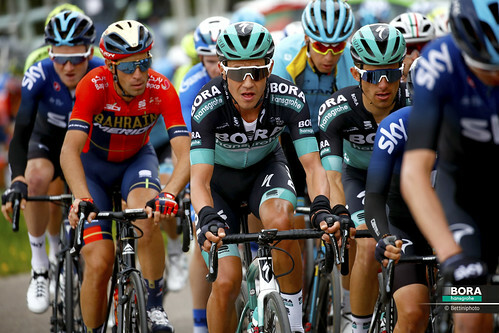 Last edition was won by Peter Sagan and once again he is one of the favourites to claim the victory. This race is not only special for the riders and fans, but also for the mechanics. We spoke to Risto Usin, head mechanic of BORA - hansgrohe, who is responsible for preparing Sagan’s bike. How special is this race for him, how does he prepare the bikes for this Classic and what are his special mechanical tricks to conquer the cobbles? 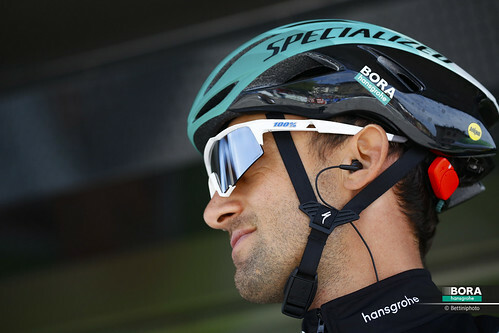 Usin works with the team for seven years now and, as with most of the BORA-hansgrohe staff, used to be a cyclist as well. The Estonian was the second generation of his family to become a pro rider, his father was a cyclist as well. After his career he started to work as a mechanic for the German team. For him this was a logical move because he always had interest in the mechanical aspect. His father had a bike shop in Estonia and he used to help him when he was young. His job mainly consists of setting-up the bikes and performing general maintenance and repairs during the race days. Furthermore he also supports in the service course, like checking if all material is in stock. Usin also helps with the overall planning for the mechanics and keeps an eye on them to see if everything runs well. The team consists of twelve mechanics. 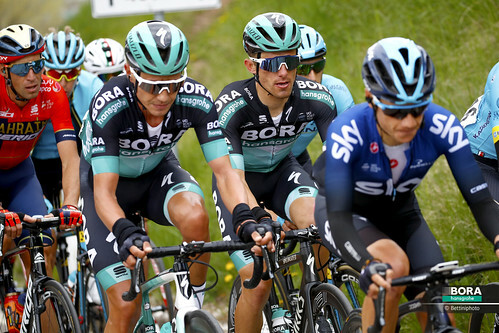 This may sound like a lot, but for a stage race they send out three guys and the team might be racing at several cycling races at the same time. Plus you’ll have to make sure you can plan enough rest for the mechanics because they all have a busy schedule. 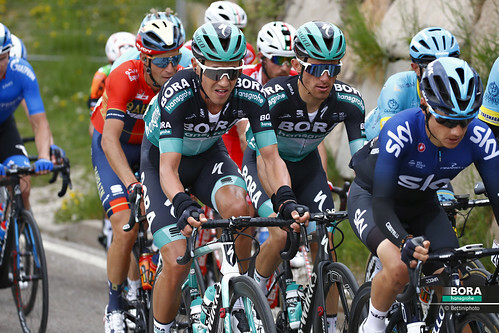 For example, Usin started in Australia, flew to Italy for the Strade Bianche and Milan-San Remo and then went to the Tour of Flanders in Belgium last weekend. This weekend he’s at Paris-Roubaix and for the rest of the year you can find him in other races at the Giro d’Italia and La Vuelta. You can imagine that these bikes get very dirty after this race. So after the finish they remove the wheels and chains and they give the frames a proper wash. Afterwards, they place the frames completely clean in the service course. Because there are no special cobbled stages in the upcoming Grand Tours, like in last year’s edition of the Tour de France for example, the special cobble-proof bikes have to wait for next year to be used again. Last year’s Paris-Roubaix was won by Peter Sagan. The triple world champion attacked from a group of favourites with more than 50 km to go and never looked back. “It was crazy! You don’t see a winner in a rainbow jersey often,“ Usin said. What are his thoughts for this edition? Will the team be able to strike again? 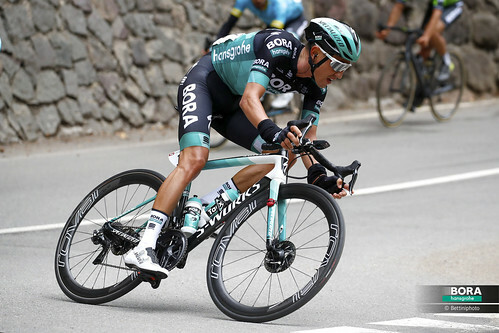 “Sagan wasn’t at his best during the Tour of Flanders, but this is a different race. Furthermore there’s a chance of rain on Sunday, that can play a tricky part, but perhaps it can play out in his favour.” This Sunday afternoon we know which rider raises the biggest cobble stone on the podium in beautiful velodrome of Roubaix.